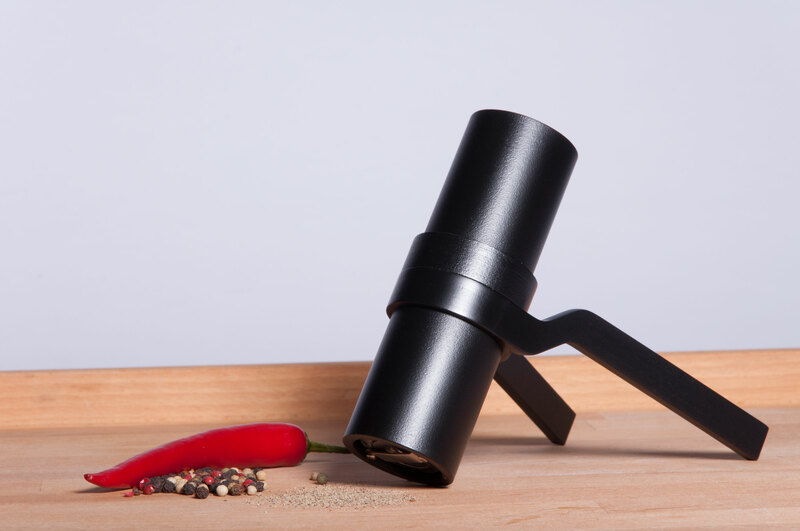 Blackmill is an ergonomic pepper mill that can be used with one hand only. 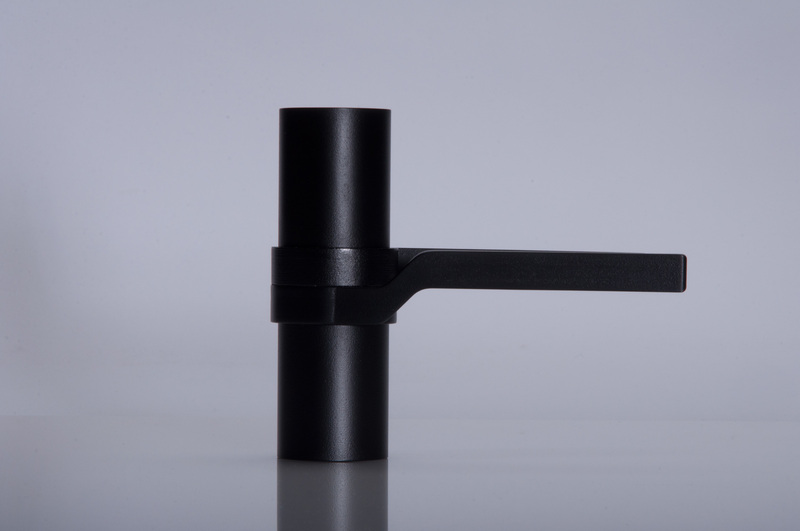 The main part is a cylindrical body that functions as an axis for the two grip elements. 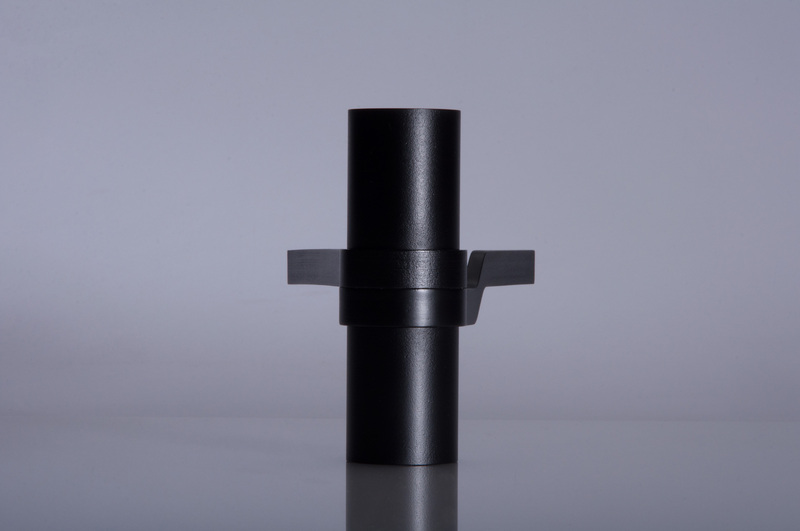 The two grip elements are wrapped around the main body in the middle to give the possibility of rotating. 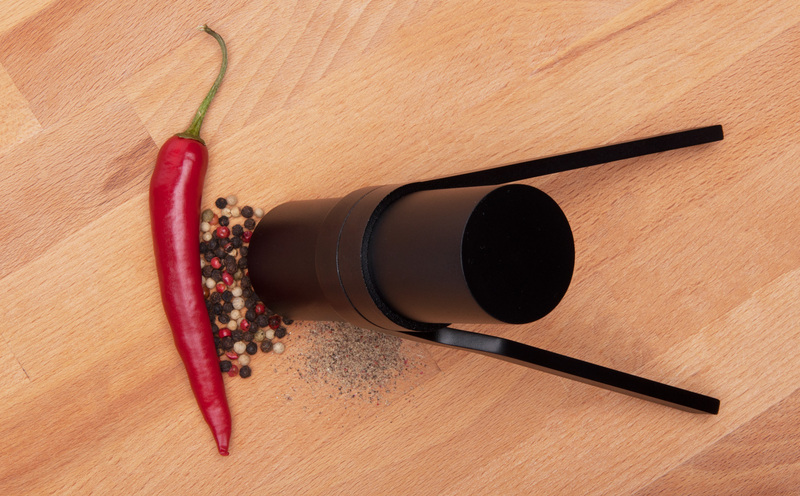 The concept of Blackmill aims for an optimum ergonomic handling. 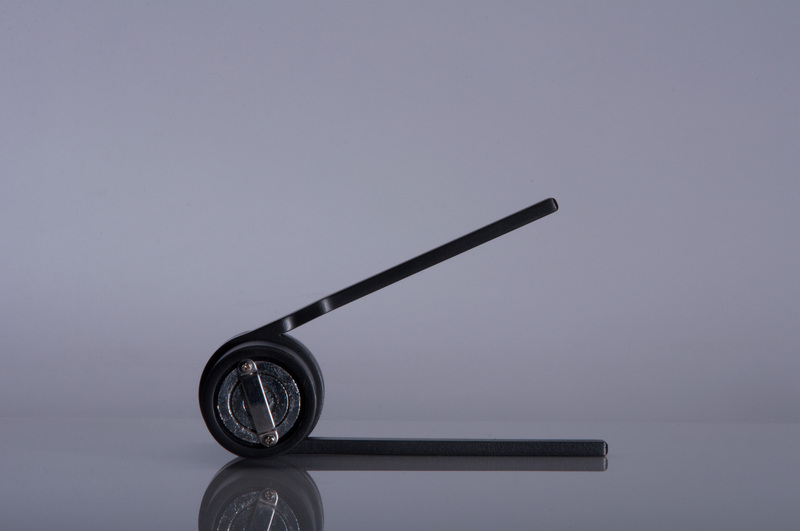 The central part of an ergonomic use is the power transmission from your muscle power to the grinding element. 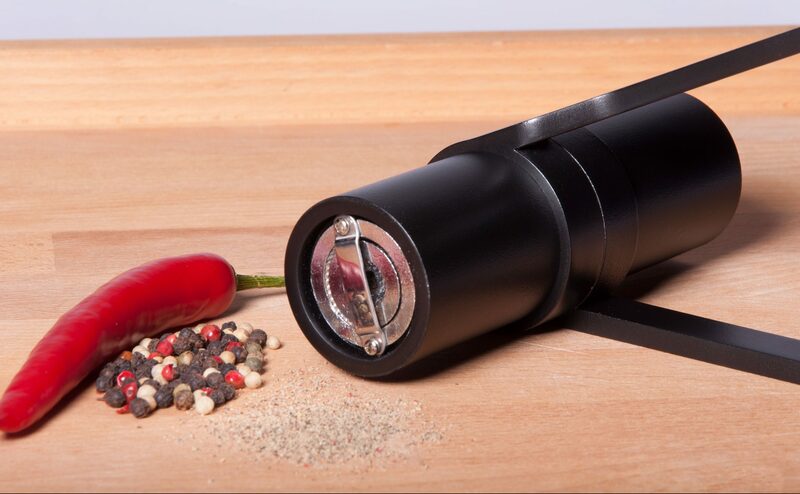 Inspired by the use of pliers, the mill takes advantage of the extreme power potential of a squeezing hand.